The Royals are the last place team but their performances in the first two games against the White Sox are helping lessen the separation. Kansas City gets another chance to inch closer to the host White Sox on Thursday afternoon in the finale of a three-game series. The Royals (34-73) own the second-worst record in baseball but have outscored the White Sox by a 14-7 margin in the first two games. 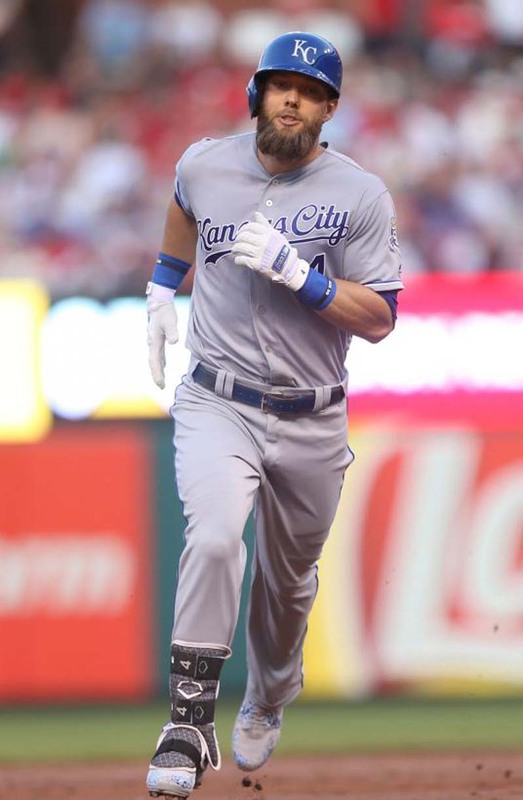 They clinched the series victory with Wednesday's 10-5 victory when Alex Gordon hit a two-run homer, a two-run double and drove in four runs for the first time since Aug. 18, 2016. [post_ads]Gordon's performance was part of the slight uptick in results for the Royals, who traded Mike Moustakas on Friday night. They are 3-3 on their 10-game road trip and are 9-8 since dropping 10 straight from June 30-July 9. The Royals have scored 33 runs on the trip and are also getting a lift from Brett Phillips, the main piece acquired from Milwaukee for Moustakas. He made a defensive gem in right field Sunday in New York, hit his first career homer Tuesday and went 2-for-5 on Wednesday. Rossel Herrera also had another hit Wednesday and is 9-for-21 in his last five games. "You've gotta get to a point where -- and they all, to a man, in there think they can be good or else they wouldn't be here," Royals manager Ned Yost told reporters of his young players before Wednesday's game. "But you gotta get to a point where you know in your heart that you're good and that you can compete, and that you're ingrained here. That takes time. You gain that through experience and through success and getting it done." The White Sox are experiencing trouble getting it done of late after committing two errors and going 2-for-13 with runners in scoring position Wednesday. They are 1-5 in their last six after allowing double-digit runs for the third time in the last week to raise their team ERA to 5.04 -- second-worst in baseball to Kansas City's 5.29. Chicago also has dropped five of the last seven to the Royals after Yoan Moncada opened the game with a homer and Leury Garcia had a two-run single Wednesday. Moncada has 14 homers this season and it's possible he could remain as the team's leadoff hitter for the rest of the season. "I think that if he continues to have good right-handed at-bats and it balances out on the whole, yeah. I think at the leadoff spot, he would be a guy that gets on base a lot, obviously takes a lot of pitches," Chicago manager Rick Renteria told reporters. "And he's continuing to improve on that side, so as we continue to move forward, and he gets more at-bats under his belt, you never know." After Jakob Junis won for the first time in more than two months, Kansas City will start Brad Keller. Keller is 4-4 with a 3.43 ERA this season and owns a 4.04 ERA in 10 starts since entering the rotation on May 30. Keller will be going for his third straight victory after allowing four runs on nine hits in 5 2/3 innings during a 10-5 win in Saturday's doubleheader against the Yankees. The right-hander is 0-1 with a 9.53 ERA in four appearances against the White Sox. One of his worst showings occurred in Chicago on July 13 when he was tagged for 2 2/3 innings in a 9-6 loss. Reynaldo Lopez is hoping to end a four-game losing streak and avoid becoming Chicago's second pitcher to reach double-digit losses. Since getting his last win July 1 at Texas, he is 0-4 with an 8.72 ERA in his last four starts. Lopez's skid continued Friday against the Toronto Blue Jays when he allowed a career-high eight runs on seven hits in 4 1/3 innings. One of the losses during Lopez's streak was a 5-0 setback to Kansas City on July 14 when he allowed five runs on nine hits in 7 2/3 innings. The right-hander is 2-1 with a 3.90 ERA in five career starts against the Royals.